GOD SAVE THE QUEEN. 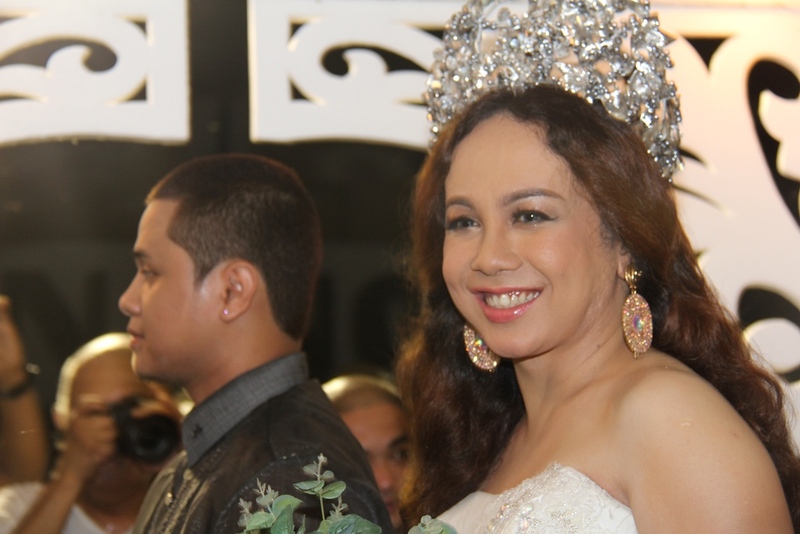 Amor Albano is crowned as this year’s Queen of Sunflower Festival. 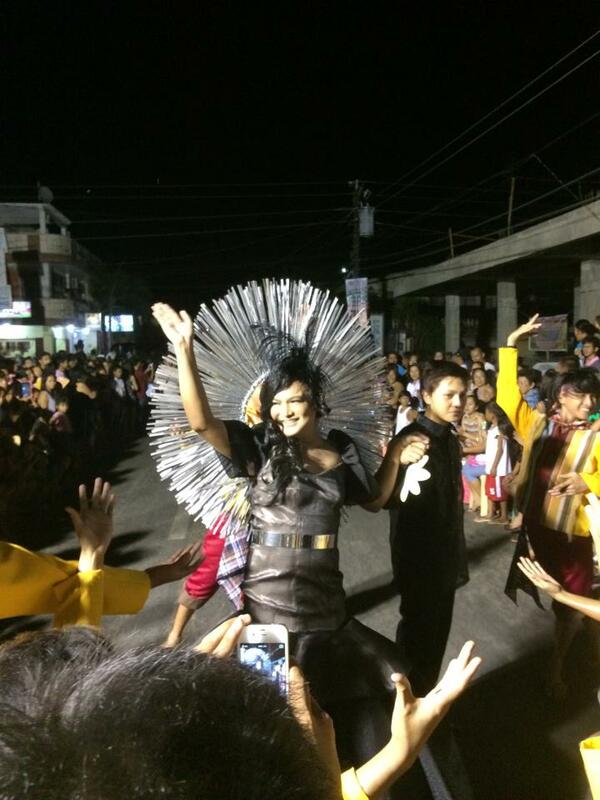 Held in Pasuquin, it is the oldest organized gay parade in Asia. 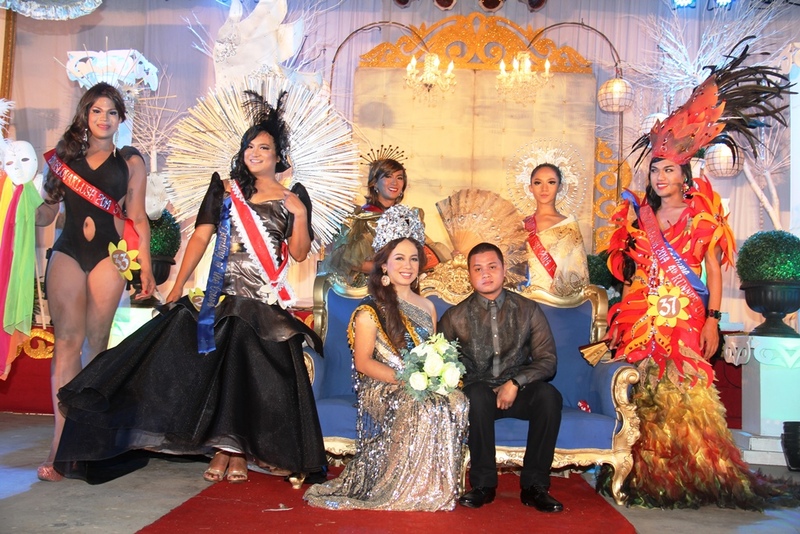 Richard Bumanglag, aka Kristina Cassandra (second from left), was adjudged as Miss Ilocoslovaklush 2014. Pasuquin is arguably one of the most backward municipalities of Ilocos Norte. It is economically slow, unprogressive, and stagnant. The town’s tourist attractions, if any, are not as well-known as the mindless bickering of its political families. Its Biscocho, though good, has never made it big on a national or regional scale. Salt-making, once a pride of this town, is no longer exactly traditional as the rock salt they use is now imported by bulk from Australia. The town could have made it big if only they supported the idea of setting up a dragon fruit farm first broached by resident Editha Dacuycuy, but she instead set up her now-famous farm in adjacent Burgos town after Pasuquin officials showed little interest. These said, Pasuquin may not exactly be a model town, but there is, dear karikna, one thing the town is proud of. Such is little known, little emphasized, but is actually huge: its gay pride. The Manila Pride March bills itself as the “oldest gay pride march in Asia.” Its first edition was staged in 1994. But did you know that an organized gay parade is being held in Pasuquin for forty two years now, starting in 1975? A group of successful gay professionals formed the Sunflower Organization in the 1972. Its first project was the Sunflower Festival, a drag parade that celebrates pride in gay identity and fosters camaraderie among its members. Surprisingly, the people of this small and tightly Catholic town welcomed the idea. Mothers and fathers were supportive of their gay sons. Town folks watched the festival participants not with ridicule or contempt, but only with respect and admiration. It was such an extraordinary phenomenon that led American filmmaker Shawn Hainsworth to produce the documentary “Sunflowers” which earned critical acclaim in the 1997 Chicago Gay and Lesbian Film Festival and other film fests in North America. The film brought the Sunflower Festival in the international gay radar. In the absence of any record that would prove otherwise, Sunflowers is the oldest gay organization in the Philippines, if not in Asia. The University of the Philippines Babaylan, the largest LGBT student organization in the Philippines, was oranized only in 1992 while Progay-Philippines was formed in 1994. 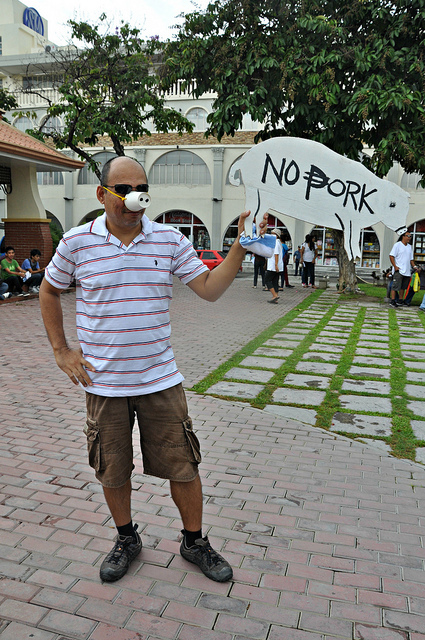 That, dear karikna, was the cry of hundreds of Ilocanos who joined the anti-pork barrel gathering held at the Aurora Freedom Park last Monday, Aug. 26. 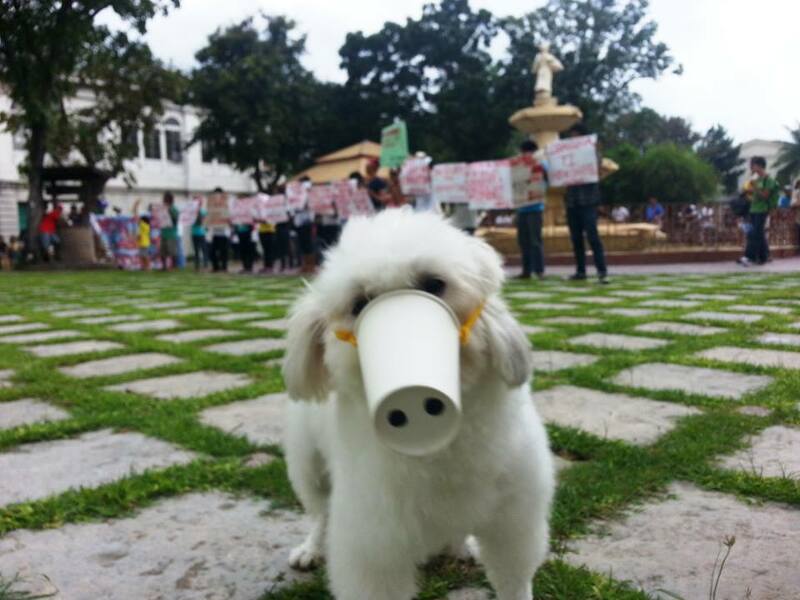 Dubbed as the Pork O’Clock March, the gathering drew representatives from various sectors to peacefully but loudly express indignation against mammoth government corruption. Incidentally, this rally for the abolition of the pork barrel was staged near the monument marking the abolition of the tobacco monopoly in 1882. 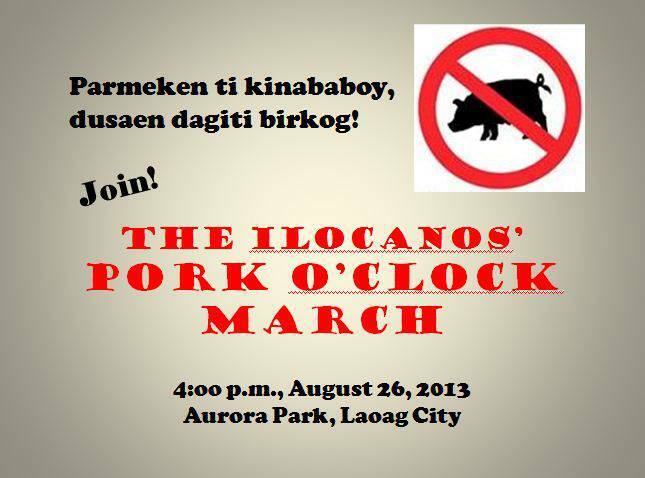 Yes, we Ilocanos may longganisa, bagnet and dinakdakan, but we sure abhor this kind of pork. And so we cannot be silent. And so, like the rest of the nation, our voices will be heard. For, as Edmund Burke puts it, all that is needed for evil to triumph is that good men do nothing. MANY FILIPINOS are really sick and tired of being poor in pocket, in spirit and in association. Presidential aspirants spouting off promises to end poverty should think twice about using campaign lines that patronize Filipino misery. To a growing number of voters, such a campaign is insulting and debasing, to say the least. Beyond sympathy for the poor or association with poverty, provincial voters now look for substance from their candidates. “Think twice,” says U.P. Visayas Political Science Professor Joseph Loot, who believes promises to ease poverty and coming up with concrete solutions to eradicate poverty are like night and day and provincial voters know the difference. Although we have not fully matured as an electorate, it now takes more than a promise to end poverty to get the votes. Poverty as a campaign thrust may even be a futile advertising exercise because voters already know that many of today’s presidential aspirants do not have a track record of alleviating poverty while they were senators or congressmen. “We’re basically looking at the same dogs wearing different collars,” says Loot. Eight years ago, in the year 2001, our voices were heard, loud and clear for the world to know that after all, we, the youth, have enormous power to change the course of history. FR. ERICSON JOSUE is one of few Catholic priests I admire. Besides being bright and hardworking, he is humble and sensitive. We have known each other since our early teens (when he was still so lanky while I was then too fat), and I have always held him in high regard. While other priests were busy attending parties, grooming expensive dogs, and constructing an ostentatious swimming pool in the Bishop’s Palace, Ericson had been busy writing books. Only in his early thirties, this son of Pasuquin has already published his second research output. “Out of the Depths”, which came out last December, tackles the phenomenal rise and eventual decline of Aglipayanism. Well-meaning scholars must be given support and due recognition, and so I encourage my students and friends to read the book, if only to generate intelligent and enlightened discourse, a rarity in the Church (and government) these days. Here, allow me to share excerpts of an interview conducted by students with Professor Fides Bernardo A. Bitanga, who teaches Sociology of Religion in the Mariano Marcos State University. 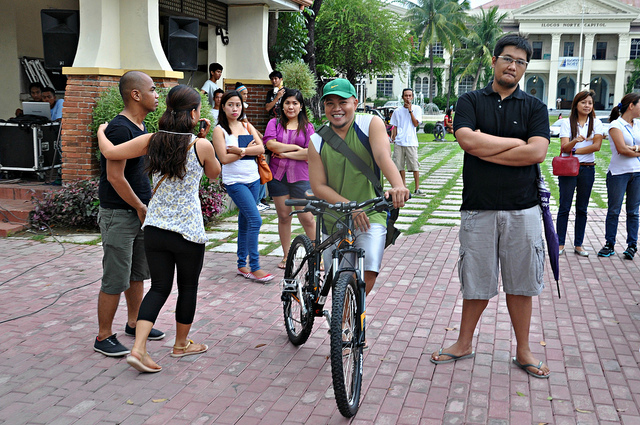 Bitanga is also the new Editor-in-Chief of Sabangan, a social sciences publication in MMSU. Former UP Student Council Chair and now Ilocos Norte Sangguniang Panlalawigan Member Kris Ablan sent me 3 copies of this novel calendar. More than the visual feast the calendar offers, it is my favorite because of what it represents. If a politician wants to be “remembered,” why doesn’t he just put his name at a corner of the calendar and put some worthy pictures instead. You see, karikna, I have never been a fan of Kris’ father who has been my congressman for most of my life, and who seems every inch traditional and jaded. But this bespectacled young man represents what a new breed of Ilocano leaders should be: thinking, sensible, sensitive, and virtuous. I look at that calendar each day and tell myself: Yes, there is hope.